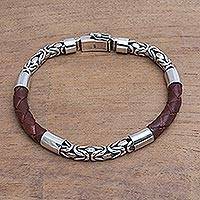 This collection of men’s leather bracelets features an unmatched selection of masculine accessories carefully handpicked by NOVICA with our male customers in mind. 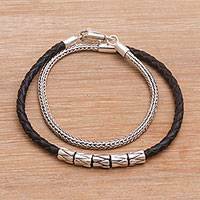 This was a Christmas gift for my 16 year old grandson who seemed very pleased with his gift. 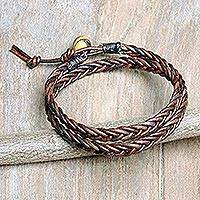 The bracelet was well crafted and masculine looking. 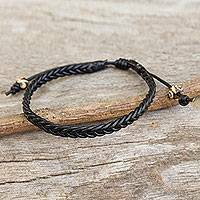 Though women undoubtedly account for the majority of jewelry-wearers in Western society today, men have historically worn jewelry to denote power and status in countless societies for centuries. 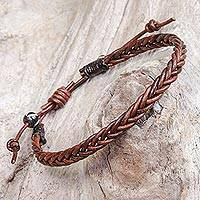 Gaining popularity across the world today, clean and simple or rugged and rustic leather bracelets for men are wonderful masculine jewelry options that look great on any type of guy. 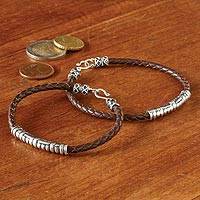 Be confident in your gift-giving abilities with help from our artisans, like Indonesian artisan Henry Anthony Sanny, whose specialty is designing jewelry for men. 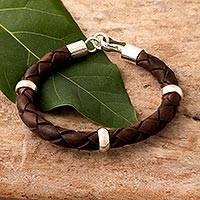 Henry offers a number of fashionable men’s bracelets and braided bands that add a unique element to any casual outfit. 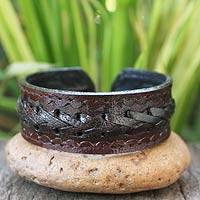 Thai artisan Khun Boom employs different methods and materials to adhere to male aesthetics, starkly straying from her styles of leather bracelets for women. 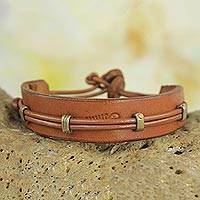 This handcrafted collection of men’s leather bracelets from NOVICA was carefully hand selected from all over the world to present you with only the best range of style options.